Cooks food in your microwave quickly & easily! Ideal for eggs, bacon, potatoes, sausage and more. Egg Microwave Cooking Set Includes egg boiler, bacon plate, 2 omelette trays and tongs. A great deal! 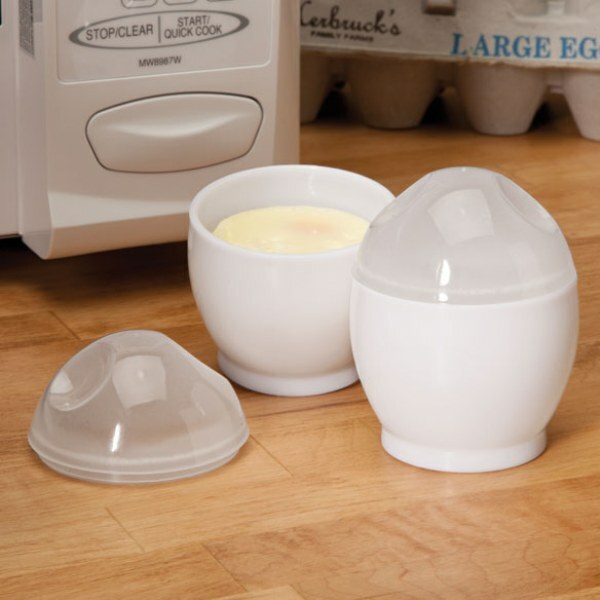 Enjoy Quick & Easy Meals right from your microwave with this cooking set for your kitchen. Love this set. I even figured out how to do easy over eggs in the omelette pan without flipping them over.